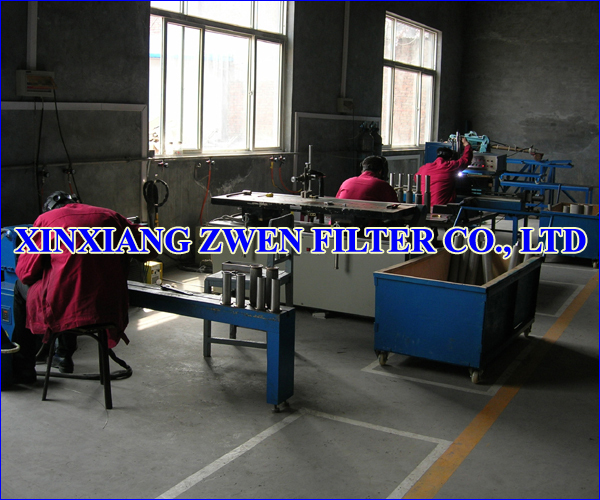 XINXIANG ZWEN FILTER CO.,LTD has 15 sets argon arc welding machines. These argon arc welding machines are used for welding pleated metal filter cartridge, pleated metal filter element, pleated wire mesh filter cartridge, pleated wire mesh filter element, pleated sintered fiber felt filter cartridge, pleated sintered fiber felt filter element, sintered metal filter basket, sintered metal filter cartridge, sintered metal filter element, sintered mesh filter cartridge, sintered mesh filter element, sintered powder filter cartridge and sintered powder filter element. XINXIANG ZWEN FILTER CO.,LTD is a professional manufacture factory of producing pleated metal filter cartridge, pleated wire mesh filter cartridge, pleated sintered fiber felt filter cartridge, sintered metal filter basket, sintered metal filter cartridge, sintered fiber felt filter cartridge, sintered mesh filter cartridge, sintered powder filter cartridge, sintered metal filter disc, sintered mesh filter disc, sintered powder filter disc, sintered metal filter sheet, sintered fiber felt, sintered mesh, sintered powder filter sheet, sintered metal filter tube, sintered mesh filter tube, and sintered powder filter tube.